There is an old cliché that remains valid today – what gets measured gets done. That philosophy is what guides the CDP, a not-for-profit that was established 15 years ago to motivate companies to disclose their impacts on the environment and natural resources. Formerly known as the Carbon Disclosure Project, CDP today is a global network that encourages companies to measure, manage and reduce their environmental impacts by participating in the CDP’s climate change, water, forests and supply chain programs. 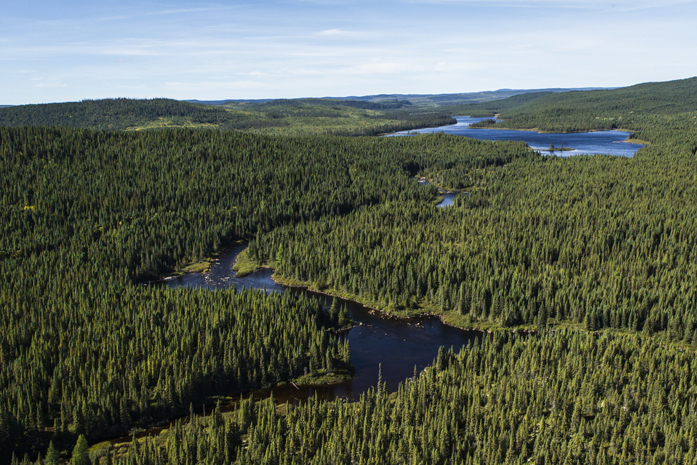 Resolute’s disclosure commitments: Resolute is fully committed to enhancing the tracking and disclosure of our environmental impacts by reporting to CDP. Additionally, we enhanced reporting on our sustainability performance by adopting the Global Reporting Initiative’s (GRI) new G4 reporting framework. We are among the first in our industry globally to report under this gold standard, reinforcing our position as a sustainability leader. Resolute’s forestry disclosure score: Resolute began reporting to the CDP Forest program in 2012, the year the project was launched. The CDP has just released its 2016 forestry disclosure ratings, giving Resolute an “A-” score, based on our implementation of a range of actions to manage deforestation risk. As a company at the Leadership level, Resolute has demonstrated the ability to comprehensively assess deforestation related risks and opportunities as well as the implementation of excellent monitoring and measurement programs. CDP also recognized Resolute’s strong governance, strategic stakeholder engagement and capacity building as tools to mitigate deforestation risks. Resolute’s climate disclosure score: Since 2006, we have reported our carbon footprint — including scope 1 and 2 carbon emissions – to CDP. In 2011, we committed to implementing scope 3 (supply chain) standard greenhouse gas (GHG) accounting and, in 2015, enhanced the disclosure of scope 3 emissions by reporting all relevant scope 3 emission categories to the CDP. The CDP has just released its 2016 climate disclosure ratings, giving Resolute a combined performance and disclosure score of “B”. This score is based on the company’s development of a policy and strategic framework within which to take action and reduce negative climate change impacts. Resolute’s water disclosure score: We voluntarily began reporting to the CDP Water Disclosure program in 2013 as part of company efforts to better understand our water footprint. For more information about our disclosures to the CDP click here.